The One SC Fund provides grants to nonprofits to fund relief, recovery and/or rebuilding assistance programs from state-declared emergencies. 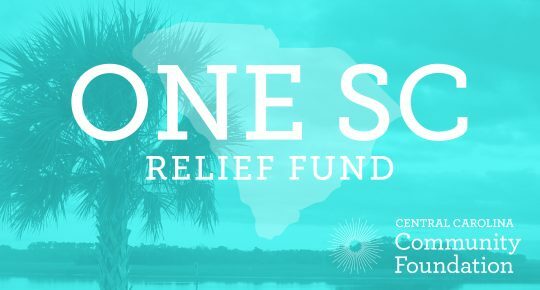 Donations to the One SC Fund are being accepted and will help continue the work of serving those impacted by the disasters that have hit our state. Current donations will be directed to counties in the Pee Dee and Grand Strant that have been impacted by Hurricane Florence. 100% of monies donated will be granted to local nonprofits providing disaster relief and recovery. The following businesses and corporations have donated to the One SC Fund following Hurricane Florence. We thank them for their generosity. Former Governor Nikki Haley recruited a team of notable South Carolinians who have helped promote giving to the fund, including David Beasley, Tajh Boyd, Stephen Colbert, Jay Hass, Marcus Lattimore, Edwin McCain, Bob McNair, Craig Melvin, Chris Randolph, Jerry Richardson, Joe Riley, Darius Rucker, Steve Spurrier, Dawn Staley, Dabo Swinney and Anita Zucker. The Community Foundation’s board provided the initial funding of $50,000 and additional donations were received from across the country. Former Governor Nikki Haley’s Original Six Foundation donated $55,000 to underwrite administration of the fund so that 100% of the dollars raised will go to local organizations aiding those in need. In addition, a matching challenge gift of $100,000 was donated by the Lipscomb Family Foundation. The fund has been endorsed by the Midlands Regional Mayors and has received financial support from corporations, foundations and individuals across the Midlands and our state. For individuals seeking assistance from disasters, we recommend calling the United Way of South Carolina’s 2-1-1 hotline. For individuals seeking volunteer opportunities, please visit the United Way of South Carolina’s Volunteer page at www.volunteersc.org. 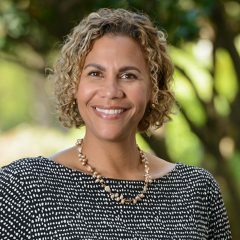 Listen to our President & CEO, JoAnn Turnquist, speak on a Center for Disaster Philanthropy webinar panel about Hurricane Florence recovery here.